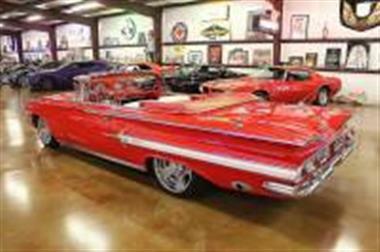 1960 Chevrolet Impala in Houston, TX for sale. 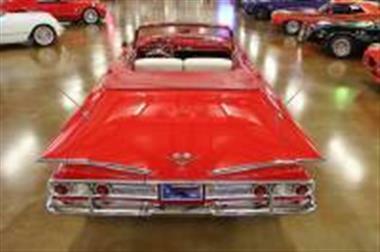 Carlyle Motors is pleased to offer for sale this gorgeous 1960 Impala Custom Convertible. It has a 348 cu. 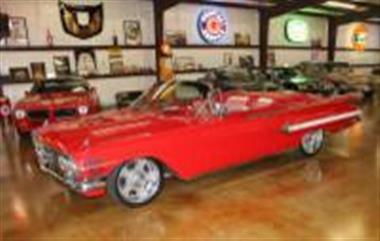 in., Tri-Power engine with power steering, power brakes, Roman Red paint with matching red/ white interior with power seats. <br /><br />It is a 348 Tri-Power car with correct dual exhaust as well as the correct badging on the grille and the deck lid for the 348. Notice the Crossed Flags with the V 348 cid engine.<br /><br />It is clean on the bottom side of the car as well and has a very nice engine compartment and trunk. 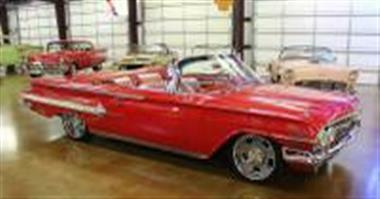 It has a set of Billet Specialties wheels with performance tires. 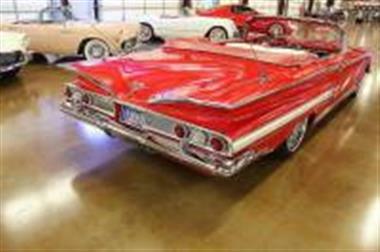 20 wheels were placed on the rear with 18 up front.<br /><br />The red and white interior was also restored with all new upholstery. It has an automatic transmission and looks great with the top up or down.<br /><br />This car also has ride tech, air bag suspension which can nearly touch the ground or raise up high enough to drive very comfortably down the road. 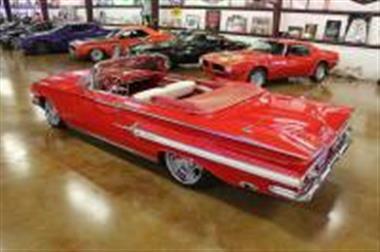 There is a remote control for the air suspension that is shown in the pictures laying on the front seat.<br /><br />This appears to be an older restoration that was done about 6 or so years ago but still shows very, very well.<br /><br />If you are looking for a really cool convertible, this is your car.<br /><br />Please call us today with any questions you may have or to make us an offer.<br /><br />Thanks for looking at all of our cars!<br /><br />Sincerely,<br />Carlyle Motors, LLC<br /><br />The car is on consignment and is located in our showroom located in West Houston, Katy, Texas.